Home LOOKS & LASH CARELASH CARE	Hair conditioner causing lash extension loss? Your client’s hair conditioner may be the culprit behind premature lash extension loss and poor attachment. Some types of hair conditioner (or even hair conditioning masks) can leave behind residual film, and as a result, negatively affect lash extension attachment and longevity. This is why it is so important to cleanse lashes thoroughly before any lash application. To combat this problem, cleansing and creating the optimal surface for lash attachment is key. To do this, use Xtreme Lashes® Eye Makeup Remover & Facial Cleanser and Eyelash Primer to cleanse and create the optimal surface for attachment and minimize the chances of this problem occurring again. Regardless of how clean your client’s lashes may appear, cleansing and priming will ensure you’ve removed any residual hair conditioner, skincare, or makeup that may not be visible to the naked eye. If premature lash extension loss continues, try cleansing twice prior to the application. 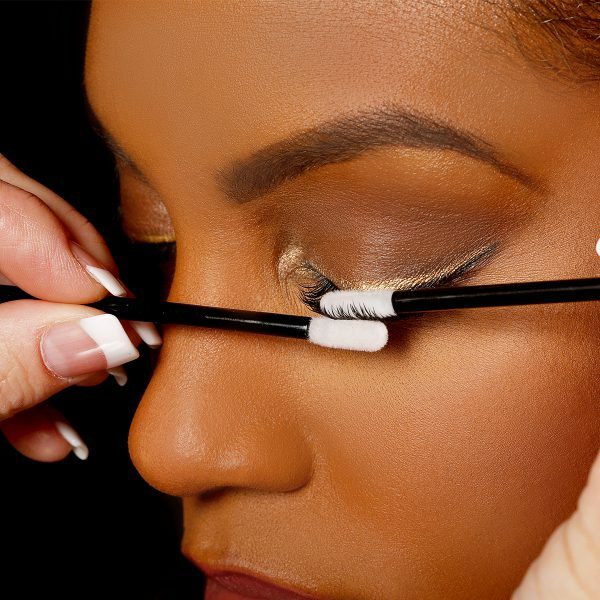 Stylist Tip: Remind your clients to arrive with clean lashes for every appointment. Additionally, ask your client to protect their lashes from hair conditioner run off when showering. Encourage them to reposition their showerhead, tilt their head further back than usual, or utilize a hand-held shower head attachment when shampooing, conditioning, and rinsing their hair.